This may be the most advanced micro compass available. This model features a compass card with all cardinal directions in a liquid filled capsule, plus a rotating bezel with 5 degree graduations. And that is a lot to fit inside a bezel that only has a total diameter of 15/16ths of one inch. 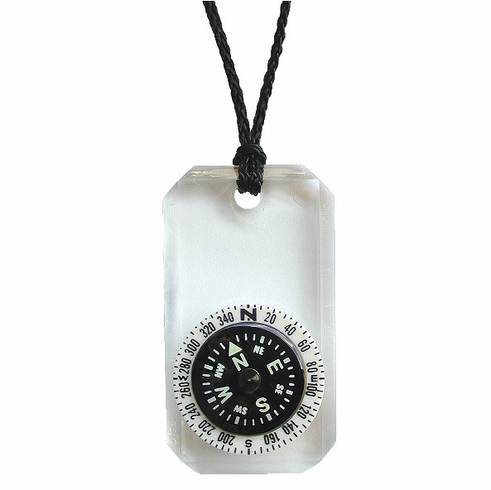 Each waterproof unit is made of clear acrylic with smooth beveled edges and comes complete with a 32 inch nylon string lanyard.